We’re focused on doing our own thing. We want to control what’s going on. Sometimes God will throw up a roadblock when we’re doing these things in order to get our attention and turn us in a different direction. Other times, God just lets us follow our natural inclinations. He knows we will have consequences to pay for the bad decisions we’re making and, hopefully, we’ll turn to him in our distress. Hopefully we’ll ask for his wisdom and we’ll learn to become wise through the trials we are bringing upon ourselves. Sometimes, God lets us do just what we want to do without trying to stop us. 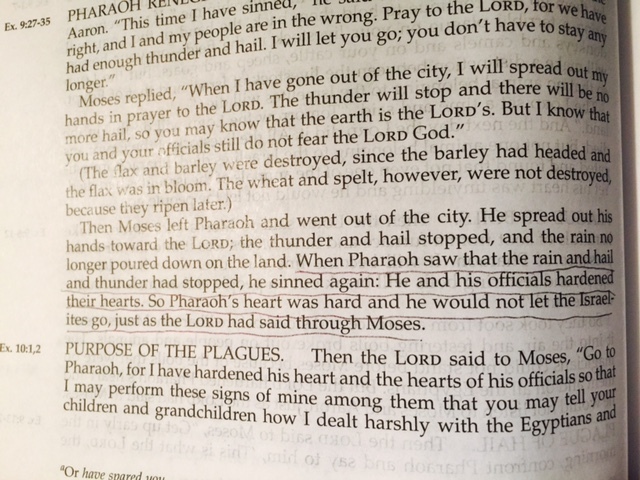 That’s what he did in Moses’ epic showdown with Pharoah. God let Pharoah follow his natural, stubborn, evil, greedy, self-centered inclinations. 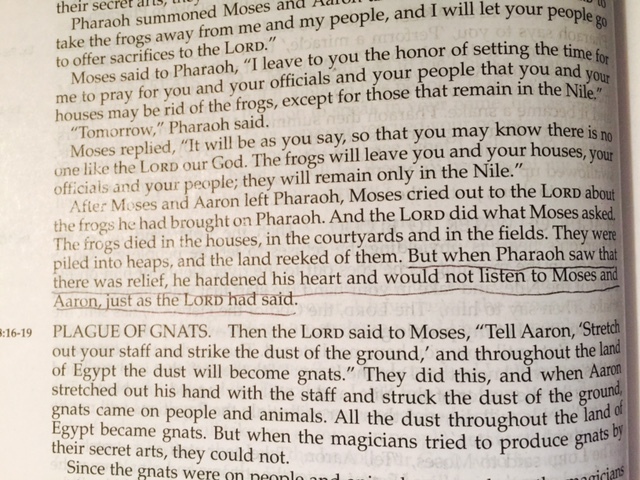 God hardened Pharoah’s heart – he didn’t do anything to change Pharoah’s mind or open his eyes to the truth. 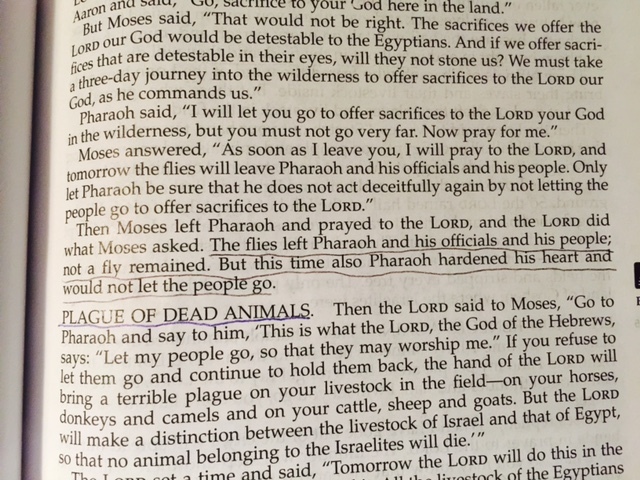 God let Pharoah do what he wanted to do and it led to the death of Pharoah’s firstborn son and destruction of his army. When our ears are not open to the whispers of God, our hearts are hard. Beware! When we’re focused on getting what we want, when we want it – our hearts are hard. We are on a path of heartbreak and destruction. But our Father God is always near. We just need to turn to him, confess our rebellion and get in step with him once again.